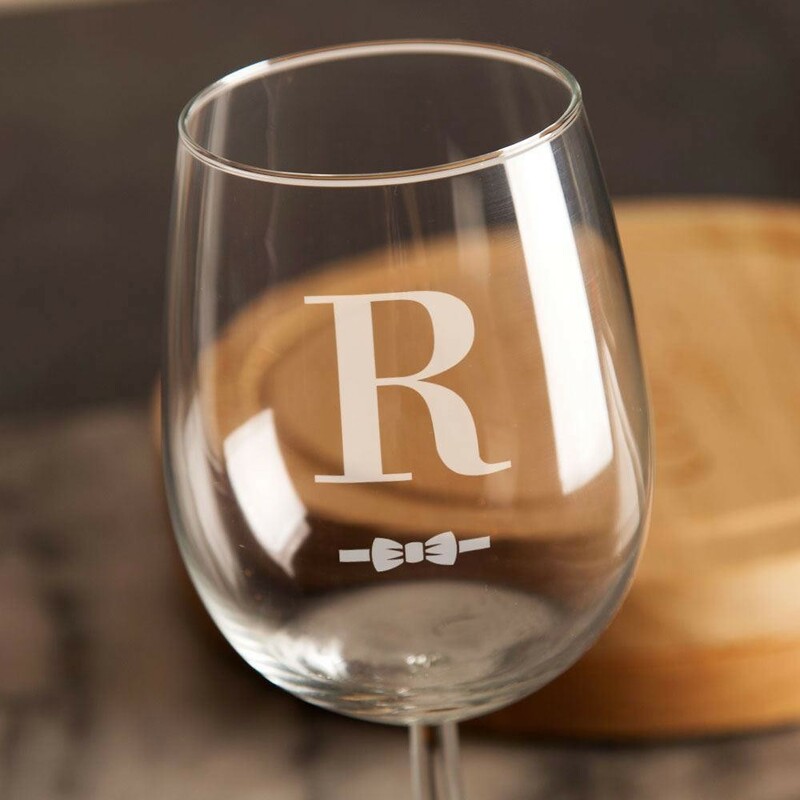 A wonderful gift for a dapper chap who enjoys a glass of wine! The simple yet eye catching engraving on this wine glass includes a large initial of choice. It is made complete with a small bow tie. All of our engraving and personalisation is done in house for high quality finishes every time. 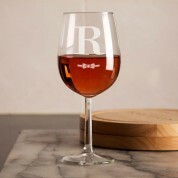 This customised gift idea would suit wine drinkers of all ages, especially on their birthday, paired with a bottle of their favourite. 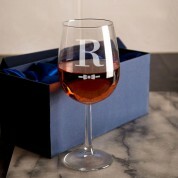 When the wine glass is not in use or on display, it can be tucked away in its silk lined presentation box.